Looking for a professional to help you with your Bourne roof cleaning company service needs? This is one of those tasks that few people think about until they are in dire need. This is often simply because they are unaware of the repercussions this could ultimately have on your roof. A dirty roof is about more than just looking unsightly. This is also about protecting your roof from algae, lichens and living organisms that feed off your shingles. In order to stop this from occurring, you need to be able to rely on the experts here at A to Z Softwash to get the job done. First and foremost, you should be able to have a house you are proud to call home. Yet with unsightly black streaks staining your roof and becoming the focal point of your home, how is that possible? You would probably also like to make a good first impression, as well as enhance your curb appeal. 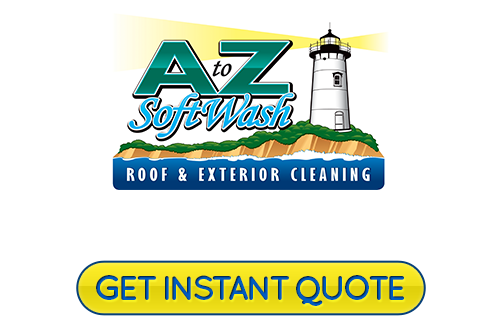 Whether it is your home or your business, cleaning your roof can help make that possible. Did you know that you could actually have your insurance policy canceled because of this? The stains on your roof are considered risks, and insurance companies do not like risks. Your home is also not as energy efficient as it should be. This means that you are running up your utility bills and causing your home to be not as Eco-friendly as it should be. What you should also be aware of is that we offer the best in softwashing services as well. This is a gentler approach to cleaning your exterior surfaces. Too often, high velocity pressure washing in Bourne, MA can actually cause damage depending on the surface being cleaned. We can safeguard against that by utilizing this approach when needed. Owning a restaurant can be a rewarding enterprise but it does come with some industry-specific regulations. One of these happens to be getting professional hood cleaning in place. This is not just about sanitation, it is about preventing potential grease fires. 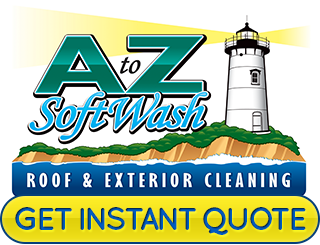 For this, and all of your other cleaning service needs, you can count on A to Z Softwash. 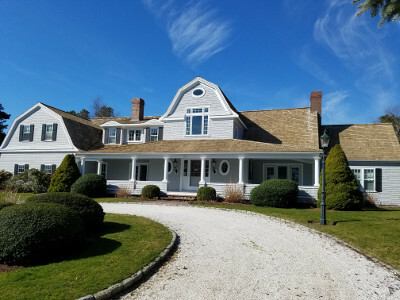 If you are looking for a reliable Bourne roof cleaning or pressure washing professional then please call 508-209-7795 or complete our online request form.